Description: La Llorona. The Weeping Woman. A horrifying apparition, caught between Heaven and Hell, trapped in a terrible fate sealed by her own hand. The mere mention of her name has struck terror around the world for generations. In life, she drowned her children in a jealous rage, throwing herself in the churning river after them as she wept in pain. Now her tears are eternal. They are lethal, and those who hear her death call in the night are doomed. La Llorona creeps in the shadows and preys on the children, desperate to replace her own. As the centuries have passed, her desire has grown more voracious�and her methods more terrifying. 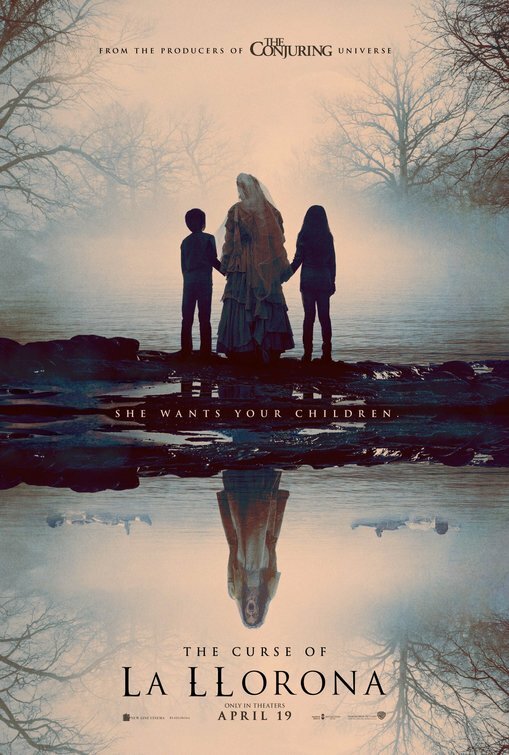 In 1970s Los Angeles, La Llorona is stalking the night�and the children.�Ignoring the eerie warning of a troubled mother suspected of child endangerment, a social worker and her own small kids are soon drawn into a frightening supernatural realm. 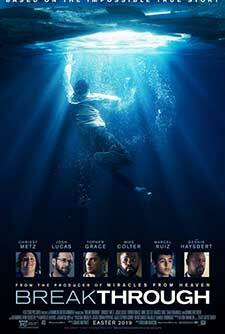 Their only hope to survive La Llorona�s deadly wrath may be a disillusioned priest and the mysticism he practices to keep evil at bay, on the fringes where fear and faith collide. Beware of her chilling wail�she will stop at nothing to lure you into the gloom. Because there is no peace for her anguish. There is no mercy for her soul. And there is no escape from the curse of La Llorona. Rating: PG for thematic content including peril. Description: When he was 14, Smith drowned in Lake St. Louis and was dead for nearly an hour. According to reports at the time, CPR was performed 27 minutes to no avail. Then the youth's mother, Joyce Smith, entered the room, praying loudly. Suddenly, there was a pulse, and Smith came around. Rating: R for strong bloody violence and gore throughout, and language. Rating: PG for action/peril and some mild rude humor. Description: The charismatic Sir Lionel Frost considers himself to be the world's foremost investigator of myths and monsters. The trouble is none of his small-minded high-society peers seems to recognize this. Sir Lionel's last chance for acceptance by the adventuring elite rests on traveling to America's Pacific Northwest to prove the existence of a legendary creature. A living remnant of Man's primitive ancestry. Rating: R for horror violence, bloody images, and some language. Description: ouis Creed, his wife Rachel and their two children Gage and Ellie move to a rural home where they are welcomed and enlightened about the eerie 'Pet Sematary' located near their home. After the tragedy of their cat being killed by a truck, Louis resorts to burying it in the mysterious pet cemetery, which is definitely not as it seems, as it proves to the Creeds that sometimes, dead is better. Rating: PG-13 for intense sequences of action, language, and suggestive material. Description: We all have a superhero inside us, it just takes a bit of magic to bring it out. 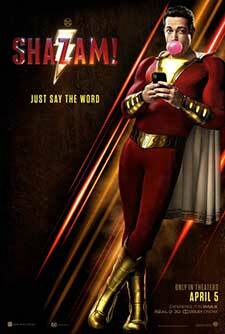 In Billy Batson's case, by shouting out one word - SHAZAM! - this streetwise 14-year-old foster kid can turn into the adult superhero Shazam. Description: After the devastating events of Avengers: Infinity War (2018), the universe is in ruins. 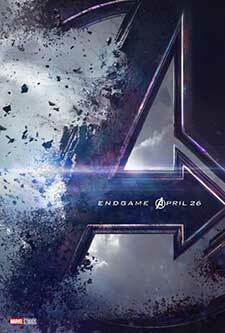 With the help of remaining allies, the Avengers assemble once more in order to undo Thanos' actions and restore order to the universe. Description: The free-spirited UglyDolls confront what it means to be different, struggle with their desire to be loved, and ultimately discover that you don't have to be perfect to be amazing because who you truly are is what matters most. Rating: PG for action/peril, some rude and suggestive humor, and thematic elements. Description: The story begins when ace detective Harry Goodman goes mysteriously missing, prompting his 21-year-old son Tim to find out what happened. Aiding in the investigation is Harry's former Pok�mon partner, Detective Pikachu: a hilariously wise-cracking, adorable super-sleuth who is a puzzlement even to himself. Finding that they are uniquely equipped to communicate with one another, Tim and Pikachu join forces on a thrilling adventure to unravel the tangled mystery. Chasing clues together through the neon-lit streets of Ryme City--a sprawling, modern metropolis where humans and Pok�mon live side by side in a hyper-realistic live-action world--they encounter a diverse cast of Pok�mon characters and uncover a shocking plot that could destroy this peaceful co-existence and threaten the whole Pok�mon universe.